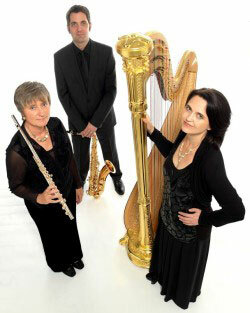 Formed in 2003, Canteloube Trio has established itself as an exciting chamber group with a diverse repertoire. Its members pursue careers in chamber and orchestral playing, working with some of the country's foremost orchestras and ensembles, alongside music outreach and education. 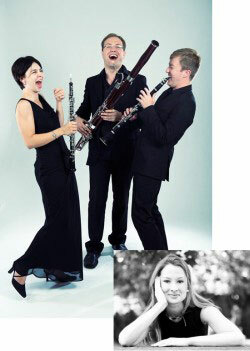 The group has given recitals throughout the UK and has collaborated with well-known composers and premiered several new works written especially for the ensemble. Alexis White studied at the Yehudi Menuhin School and the Royal Northern College of Music, where she is a staff pianist. She is the winner of many prestigious prizes and scholarships and has given recitals and concerto performances throughout the UK and abroad. The Tippett Quartet has delighted critics and audiences alike with its animated, virtuosic performances since 1998. 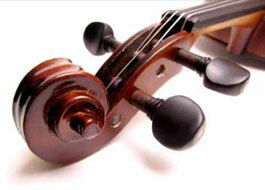 The quartet has performed at the BBC Proms and numerous other festivals. They are frequently on BBC Radio 3, have performed with the Royal Ballet at Covent Garden and have premièred a newly written film score for Alfred Hitchcock’s 1927 silent film classic ‘The Lodger’. Their impressive catalogue of over twenty releases has not only topped the classical charts but has also entered the pop charts. Exploring the dynamic between composer and performer, Caliente Trio perform music specially written by award winning composer Andy Scott, alongside works by Milhaud, Ibert, Prokofiev and Fauré. Three consummate performers (soloists, RLPO, Hallé, Apollo Sax Quartet) and experienced educators, (professors at Royal Academy of Music and Royal Northern College of Music) present an engaging, stimulating and accessible event; rooted in classical music with jazz influences. 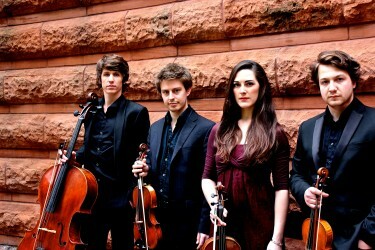 Formed in 2012, the Ruisi Quartet has quickly established a reputation as an exciting, expressive ensemble. 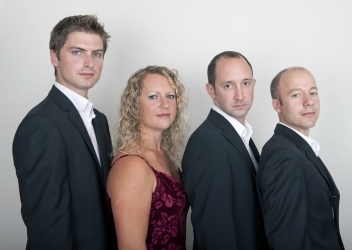 The quartet has already performed at the Wigmore Hall and Brighton Dome, and look forward to a number of international engagements in 2014. The group has been selected for the prestigious ‘ChamberStudio’ Mentorship programme in London. This coming season sees the quartet perform various concerts in London (King’s Place), Norfolk and Sussex, including a performance of Elgar’s ‘Introduction & Allegro’ with the ’12 ensemble’, London’s un-conducted string orchestra. Chris Grist studied at the Guildhall School of Music in London and has performed throughout the UK and Europe as orchestral musician, chamber musician and recitalist. 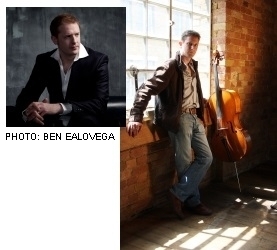 He is principal cellist and Artistic Director of the London Concertante. Warren Mailley-Smith made his solo debuts at Wigmore Hall London and Carnegie Hall, New York. In 2011 he performed Beethoven’s Emperor Piano Concerto with the Royal Philharmonic Orchestra. He has received over thirty invitations to perform for the British Royal Family at Buckingham Palace, Highgrove House and Sandringham House.